What do these statistics mean for you? You’ll benefit from a built-in potential client base of nearly two-thirds of the U.S. population, which is something very few businesses can claim. As a Physicians WEIGHT LOSS Centers® franchisee you’ll have confidence in knowing there exists a lot of opportunity for growth and for helping individuals. An analysis conducted by the National Heart Forum, based on a peer-reviewed model published last year, estimates that 50 percent of Americans are on track to be obese in the next 20 years. As a Physicians WEIGHT LOSS Centers franchisee, you’ll be given a protected territory consisting of approximately 50,000 people. 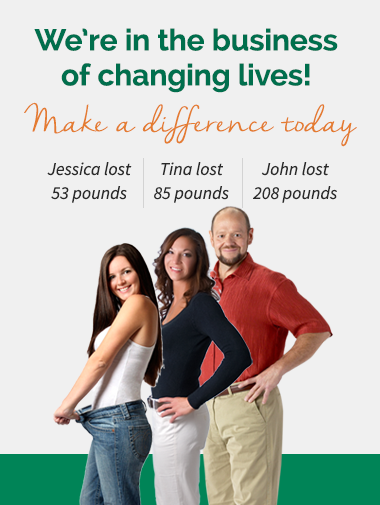 Based on the research and estimates, nearly 25,000, or one in two, of those people will be potential clients who could benefit from our weight loss programs. That adds up to be an amazing opportunity: the ability to make a living by improving the lives of others. Discover why franchising could be the right route for you.